On May 22nd, 2006, one of these finally landed outside our new home. 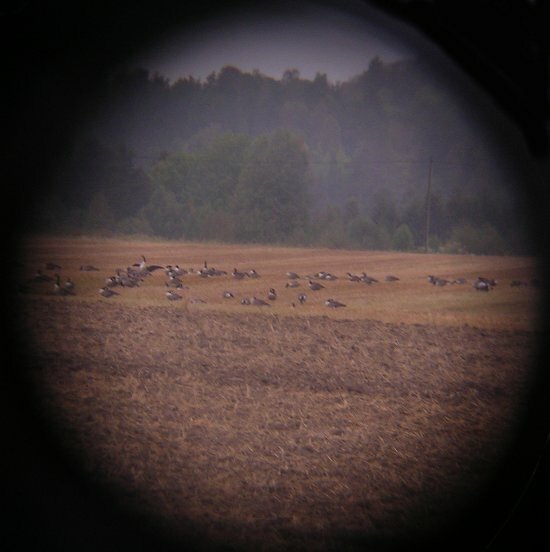 As time went by, and we learned where to look, we could count up to a 150 birds in the field outside our home. 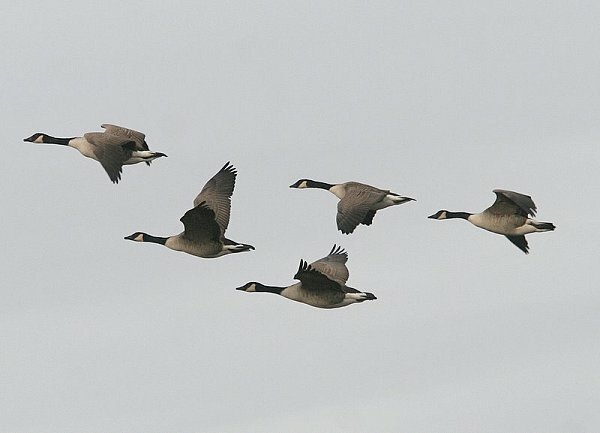 Februar 25th, 2008, when down by the seaside (inland), we observed these 14 heading toward our position. in the waters around in this part of the country. winter in southern USA. There are eleven subspecies. 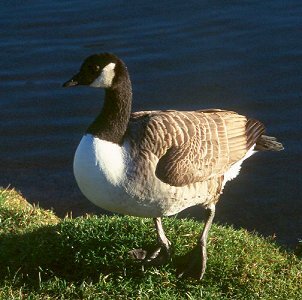 The Canada Goose was introduced to Britain about 250 years ago and the feral population now exceeds 50,000. 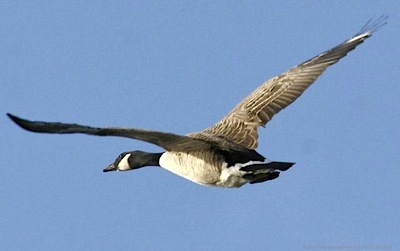 They are now found in smaller numbers elsewhere in Europe and are still being introduced into Scandinavia by hunters. in some birds. B. c. maxima is the largest subspecies with a slightly darker lower neck and a small white patch on the forehead. 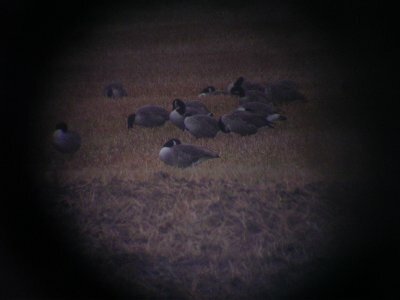 Other subspecies occasionally come to Europe as vagrants. Although they are normally migratory, feral populations tend to be sedentary. breeding season. Mated pairs may stay together for more than one year, sometimes staying together for life. Males fight over females with their wings and bills. 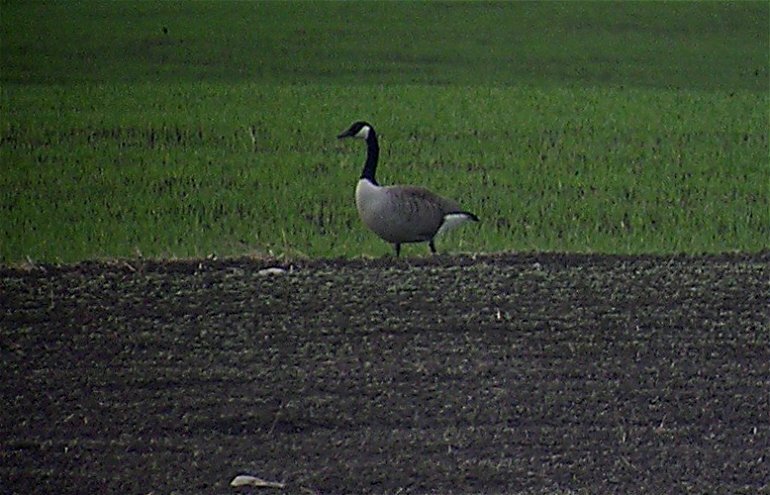 The winner approaches the female with his head down and neck undulating. He makes hissing and honking noises. The pairs mate either before or after they have found a nesting location. The average clutch size is five eggs, although this size ranges from 2 to 9 eggs. 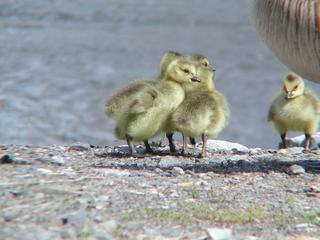 The incubation period lasts 23 to 30 days. Females incubate the eggs, choose the location for nesting, and even build the nest without males. that are isolated but have good visibility. This allows them to readily see danger approaching and to be difficult to get at. or out of the water.